Duhh! And those messages were shared by a friend in a group. And I thought is she that naive?! Another incident I recollect now. I was driving back home with my Grandmother last week. On the way, we stopped for tea. There I saw a photo hanging at the cashier’s counter and it said 'Ennai paar yogam varum' (which means ‘Look at me! Fortune favours you’) with a Donkey standing decorated. I was wondering what all superstitions people believe to make money. If they believe looking at a donkey brings them luck, why not they pet a donkey instead of an 'unfortunate' cat? Hmph.. Sometimes, superstitions come in the way of sound investments. 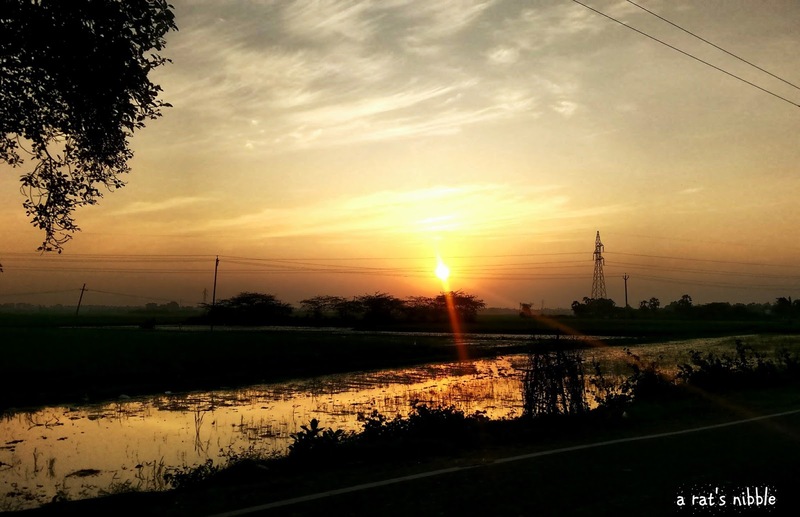 Birla Sun Life Mutual Fund has created a video that showcases how we sometimes get caught up in rituals or superstitions instead of thinking and investing smartly. But you know, there is a very simple logic behind making money. 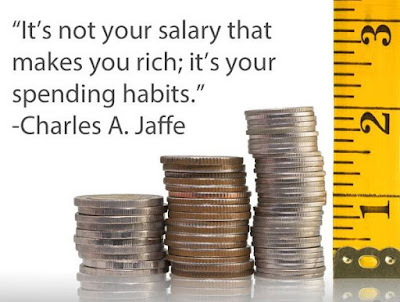 This quote is the very base of financial planning. Most of us look forward to a secure and comfortable future. But to get there, we got to be smart. We should use the money we earn to make more money. But why? One day we all want to retire. After working for most of our lives, we wish for a time where we can stop working and have choices on how we spend our time. The secret to a financially secure retirement is to start saving and investing early. The first step will be to clearly understand how to save for retirement. Saving over the long term is ideal. In India, we have Public Provident Fund (PPF) in which we add a small part of our income into this account on a regular basis. The money we contribute over the years plus what it earns is the fund that will be ready to support one's retirement. This account is planned on a lifetime of savings, so don’t think of touching it until retirement. And this will save us taxes too. The second step is to invest the savings. Investment is prone to risk and the best way to deal with it is to be well informed. Being informed makes us to take better decisions. Equity Mutual Funds (EMF) are the best way invest. Birla Sun Life is a pioneer in investment service. Investment needs discipline and they ensure high standards in this aspect. There are other means of investments such as Insurance, Stocks, Gold, Real Estate and even Antiques. Everything needs research and homework to be done extensively. 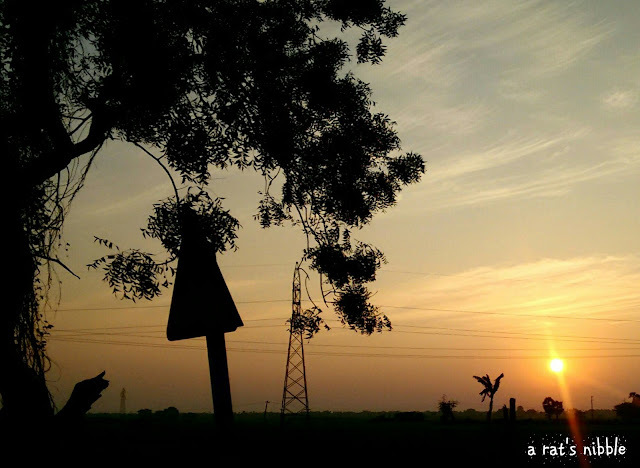 But investing in EMF with a trusted firm like Birla Sun Life is the safest option available for people in India. Because Birla Sun Life says #JanoTohMano. Know it and then accept it. Imagine, it’s just like we order food in a restaurant and believe that good food needs enough time to cook and serve. While we fail to apply the same when it comes to mutual funds where we are always in a hurry for quick returns. Financial planning should be a major part of every New Year’s beginning. It’s never too early to start saving and investing. Let us all take a resolution that we will save wise and invest smart for a better future for ourselves and the next generation. Don't wait for the fortune. Leave your superstitions and hesitations behind and think wisely for your financially well settled future. 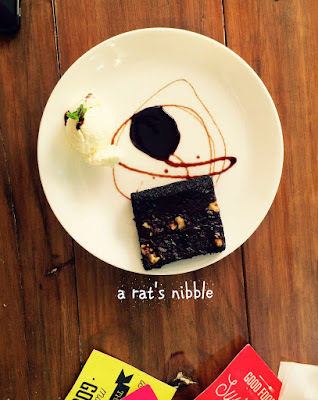 For me being a nibbling Rat, the name The Pied Piper café, itself stirred an interest. But then I wonder, is this a trap to make me fall for their food? Hmph. I decided to go and meet the pipers. 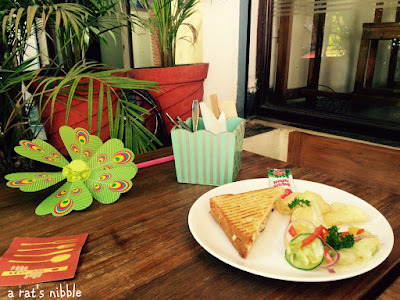 Basically, I enjoy eating out and especially when they serve delicious food making my experience delectable. And, I must have said this so many times by now. Last week I headed to The Pied Piper café. 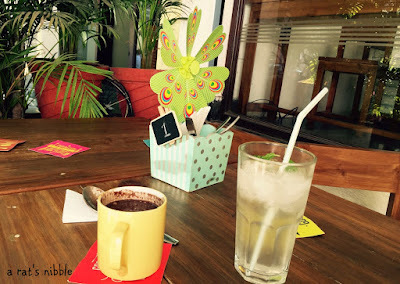 You know, it is always fun and interesting to visit a newly opened café. As a food lover, the new cafés attract me. Particularly, to see if they have a sense of freshness and uniqueness in their outlook and menu. 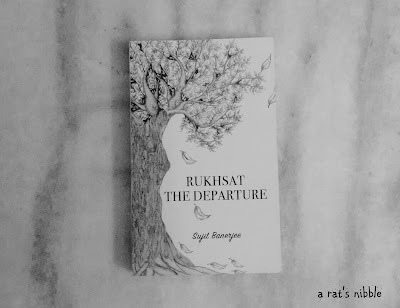 Here it is.. 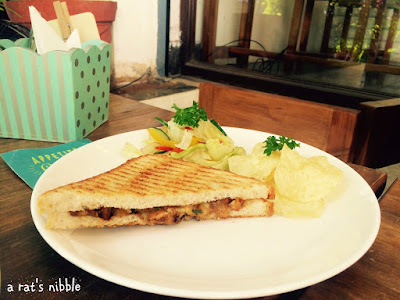 Aged a month, The Pied Piper, a new start up café that sets one good example for a unique menu and a quaint ambiance. 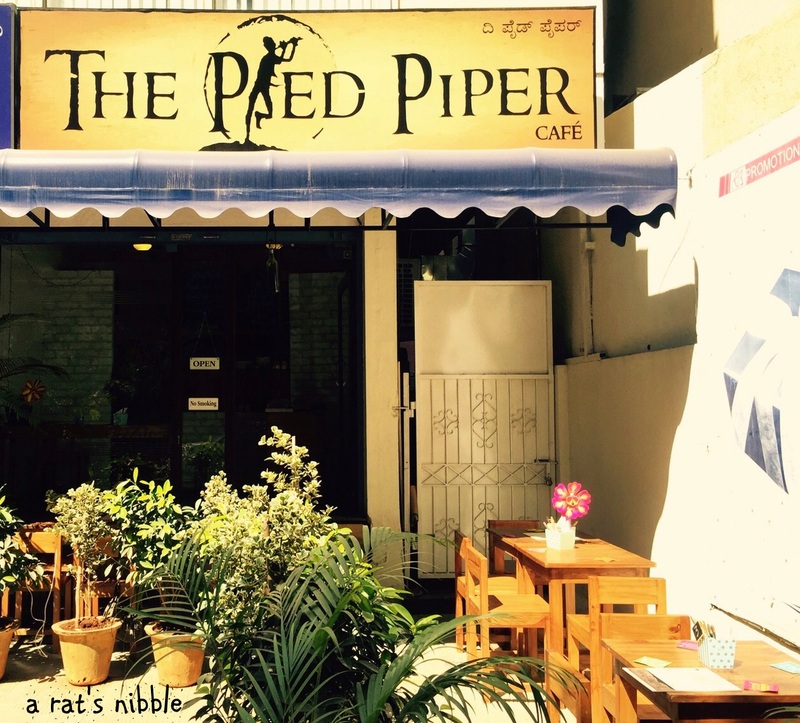 The Pied Piper is situated amidst the hub of Cafés in Jyoti Nivas College road, Koramangala. And it needs a good level of confidence and courage to open a new one and that too with a limited space. Though small, the café has adequate tables for its customers and it looks like a garden café with potted plants as decor. 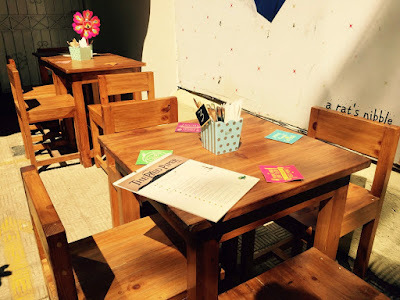 As we entered, we were greeted with a cheerful smile by its owner, Snigdha Swaroop, a software professional who left behind a comfy desk job to pursue her dream of opening a cafe. 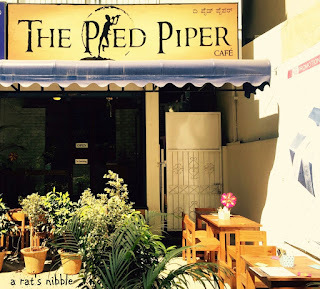 She named her café “The Pied Piper” because just as the pied piper had a rampant following of rats, she too wanted the cafe to attract a lot of food lovers. Well, definitely it caught my attention to have a joyful nibble. What caught my eyes was the wooden tables and the large logo of The Pied Piper. The tables with paper windmills were just as playful as the logo and the ambiance was pleasing. About the menu, they offer both Veg and Non Veg. They specialize in Sandwiches and Burgers with a fusion theme. Plus, lovers of Salads and Soups won't be disappointed too. The menu also has a decent selection of beverages. I loved the way she named her food. They are very quirky. We were offered the Cafe's special. First they welcomed us with a delicious cup of Hot Chocolate and a glass of Lemonade. The richness of the Hot Chocolate would delight any chocolate lover and the Lemonade was perfect to quench our thirst. 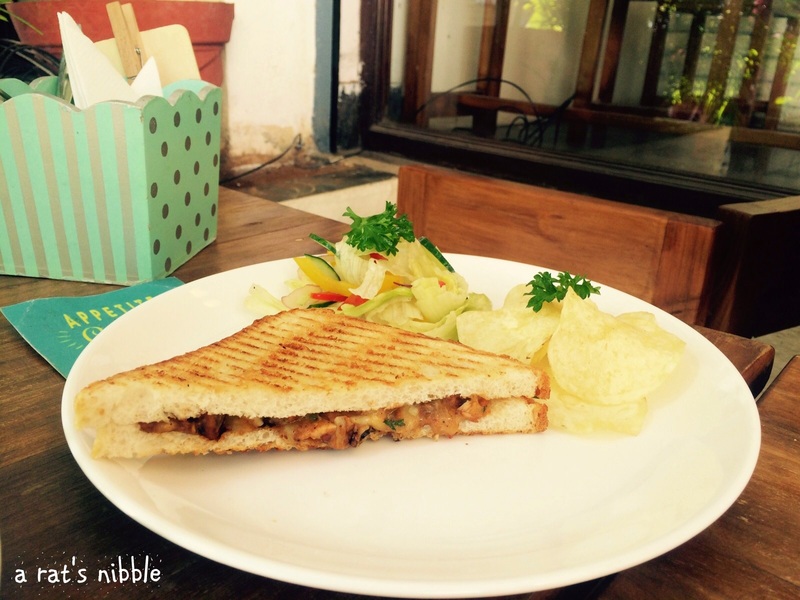 After the welcome drink, they served us the choicest sandwiches of the cafe. Marty, a veg lovers' sandwich with all the winter vegetables such as Mushroom, Zucchini, Bell Pepper and Broccoli. Unlike the usual veg sandwich, this was really tasty. We also had Must-A-Chicken sandwich, a yummy combo of Herb and Mustard Chicken and then Spiced BBQ Chicken sandwich, both packed with flavor. Then we ordered a salad, Hakuna Matata, special of the day. 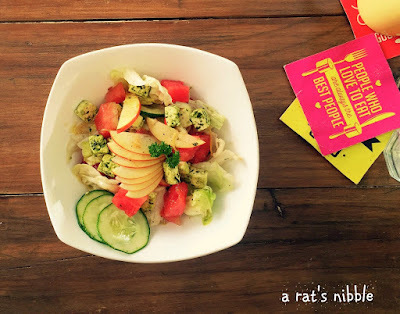 It's a spin on veggies and fruits, which is light, crunchy and colorful. We didn't want to leave before trying their burgers. We were served with Wicked, the spiced Mutton Mince burger. The bun was soft and the patty simply enslaved us. What made their food unique was the flavor of their sauce. They are all Snigdha's fusion recipes and are sumptuous. They infact made us hungry and wanting for more. It was a wonderful food experience at The Pied Piper. And for the finishing touch, came the dessert. Snigdha's very own Chocolate Brownie. It was sinfully extravagant and the presentation was salivating. Though our tummies were bursting we still managed to gobble it up. Bangalore food lovers! 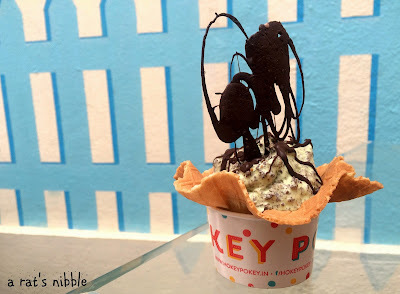 If you happen to be in Koramangala or even elsewhere don't miss to visit The Pied Piper. It is a cool place to hangout with your friends and family. Because The Pied Piper plays yummy tunes to your tummy! It costs around Rs. 500 for two. 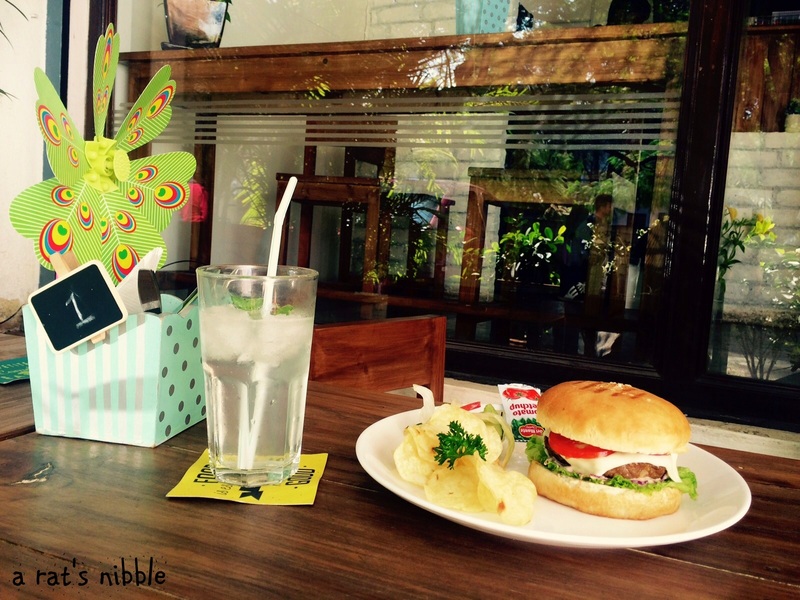 And yes, they offer home delivery too through different apps like RoadRunner etc. Would I go there again? Oh yeah, definitely I'd love to. Rat enjoyed her nibbles at The Pied Piper! Location - 62, Jyoti Niwas College Road, Koramangala 5th Block, Bangalore. I’m very fussy when it comes to ice creams. It shouldn’t be too sweet. It should be creamy but not heavy, and it should definitely live up to the standards of my favorite ice cream from my favorite childhood haunt, the best ice cream parlour down from the street where I grew up. So when I got an invite from Hokey Pokey’s new ice cream parlor, I jumped at the opportunity not only because I already was a big fan (having many red dabbas at home to prove my point) but also because I wanted to know if I will rediscover my favorite ice cream. Walking into the parlor on its opening day was fun. 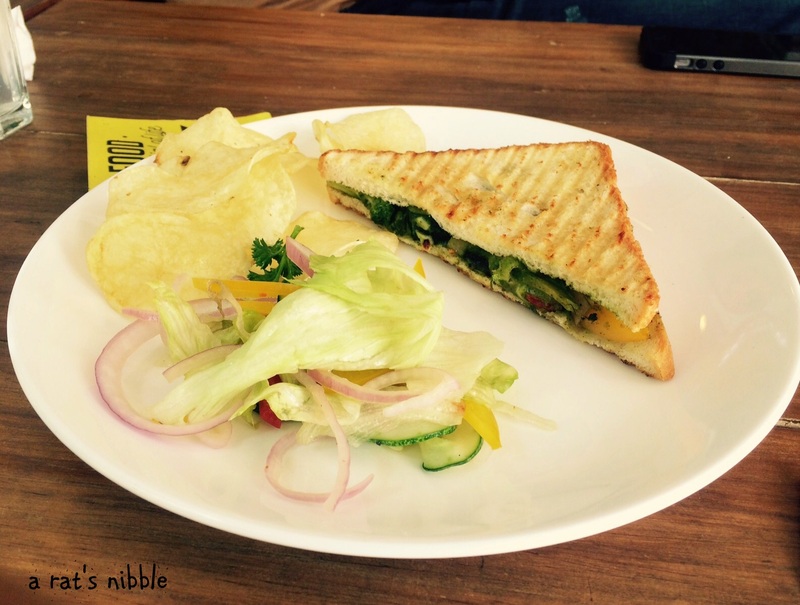 The red façade was inviting and being located in the food hub of Bangalore, in Koramangala, it was very inviting. 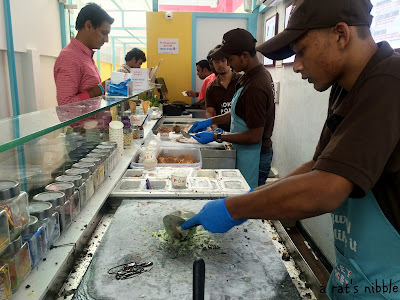 Hokey Pokey, leaders of finest quality vegetarian ice-creams are the innovators in introducing the concept of a live kitchen in India: “Mixing ice-creams on a frozen stone slab which gave customers the freedom to create their own flavour.” And their new concept is quite tempting. As I walked in, I am impressed with the wall decor. And then soon I joined the excitement of the crowds and mentally started selecting which flavor I wanted. The staff were working swiftly, there were ice cream scoops flying in the air, the wafers were being made efficiently and the ice cream mixture was being prepared in the cold stone slab, set at just -22 degrees to keep the ice cream from melting. As I watched, the different ice creams were made with different chocolates; Oreos, Kitkat, bounty, perk, chocolate chips, customers were served with a variety of ice cream, including New York cheesecake ice cream, chocolate and cookie ice cream and fruity ice creams. 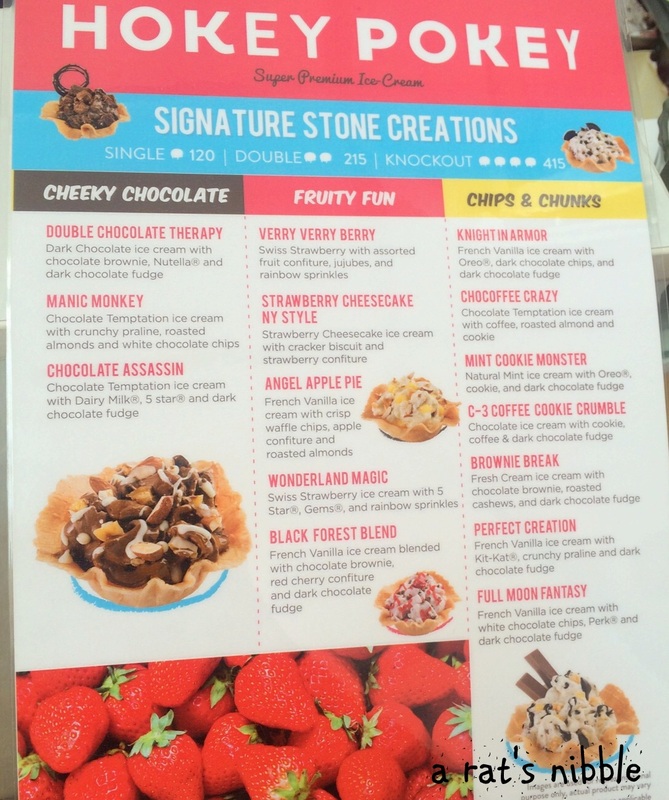 I decided to order my favorite, Mint Cookie Monster, which is Mint ice cream with Choco chips and Cookies! Yum…! It totally lived up to my expectations and I savoured every bite. 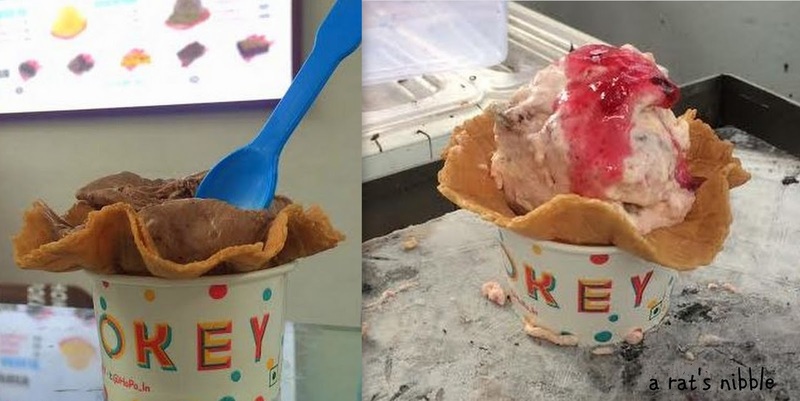 Being the first outlet to be opened in Bangalore, Hokey Pokey will live up to the expectations; it had a quirky and yet comfortable ambiance, the friendliness of the staff was contagious and most importantly, the flavors were bang on and sure to tingle any ice cream lover’s taste buds. 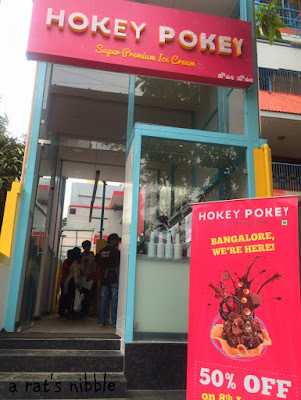 Location - Hokey Pokey, No 8, 1st cross, 5th A block, Kormangala, Bangalore. 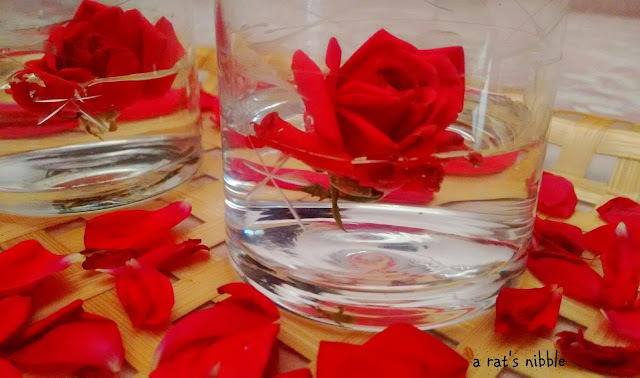 Lingering scent, velvety touch Of floating red roses and petals, Alluring centerpiece invites! My first post of 2016 welcomes you!